In 1982, HAMAD AMIN MOHAMMED, a farmer from Haladin in the Jafati valley, was stopped at an Iraqi checkpoint and accused of ferrying supplies to the peshmerga on his tractor. He was tortured and then sentenced to 15 years in Abu Ghraib prison in Baghdad. 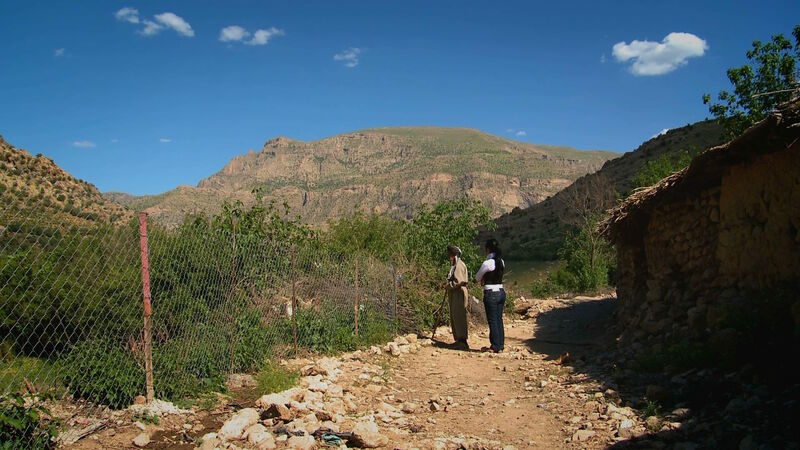 Kurdish civilians living in the rural areas of Iraqi Kurdistan faced an increasing risk of arbitrary arrest and imprisonment. ‘The Iraqis used to say that people in your village are all peshmerga. Even your donkeys are peshmerga,’ says Hamad Amin Mohammed, a farmer from Haladin , a village 40 km north of Sulaimaniya. 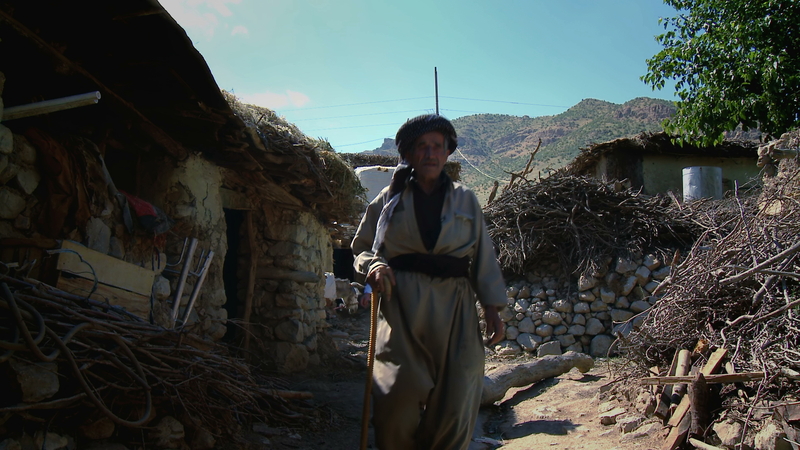 Hamad had been a peshmerga for 12 years until the Kurdish uprising collapsed in 1975. 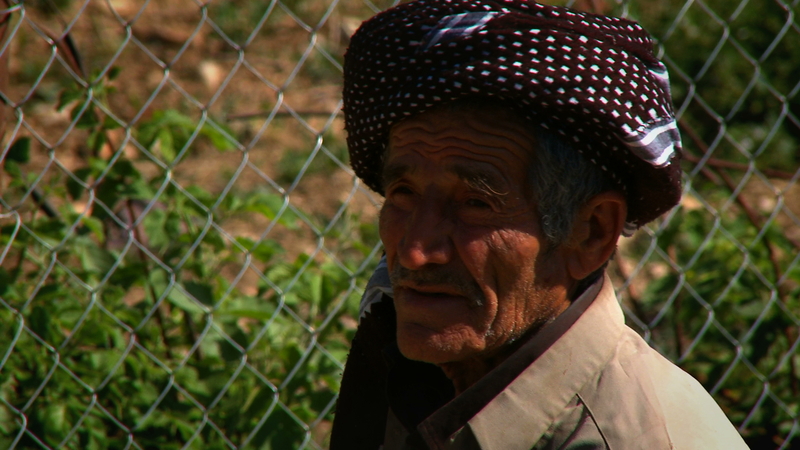 Disillusioned by infighting amongst the Kurds which led to the deaths of many young people, he quit the movement and became a farmer. ‘I told them I wasn’t going to kill my brothers,’ he says. Stopped at an Iraqi checkpoint in 1982 while driving his tractor, he was taken to Sardar military compound in handcuffs and held for 25 days. He was accused of transporting sugar, tea, bread and blankets to the peshmerga over a six-month period. Threatened with execution, he was badly beaten and then sentenced to 15 years in the notorious Abu Ghraib prison close to Baghdad. In late February 1988, HAMAD AMIN MOHAMMED witnessed a bombing raid on his village, Haladin, and describes how waves of Iraqi planes destroyed houses, the local school, a mosque and the hospital. His family fled and he never saw many of them again. Hamad was freed in 1986. On his release, he returned to the Haladin area a peshmerga stronghold which had long supported the Kurdish resistance. Hamad vividly recalls how squadrons of Iraqi helicopters and jets launched regular attacks on Haladin. To protect themselves, villagers built air raid shelters in the mountains which they camouflaged with branches and earth. In all, Haladin was attacked by chemical weapons on three occasions between 1987 and 1988. In the final attack in late February 1988, the Iraqi airforce dropped about 20 to 30 bombs, destroying a school, a mosque and a hospital. In the chaos that ensued, Hamad was injured and separated from his family. This was to be the last time he saw many of them again. He lost eight of his 13 children during Anfal. 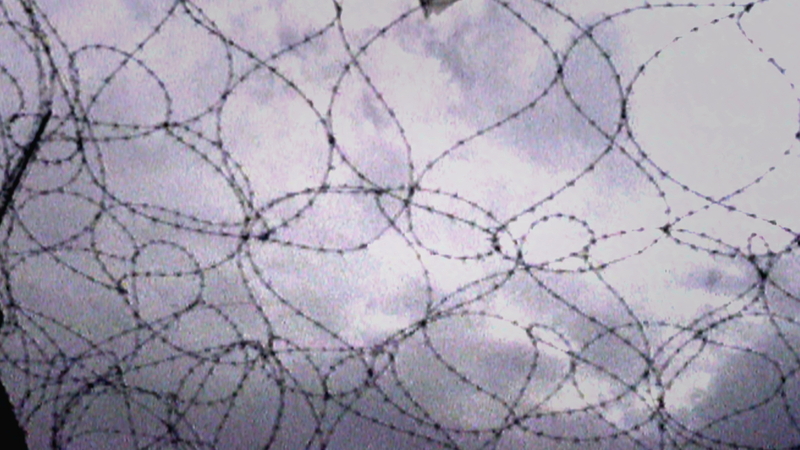 HAMAD AMIN MOHAMMED, from Haladin, describes the terrible conditions he endured during the four years four months he spent in Abu Ghraib prison. Haladin Village in the Jafati valley was attacked with poison gas twice. The first government attack was in 1987 and the second attack was in 1988.